Hawker Motors - Starting Point for Touring the Flinders Ranges. "Town Centre Store and Service Centre"
HAWKER MOTORS ESTABLISHED IN 1952 BY FRED TEAGUE. 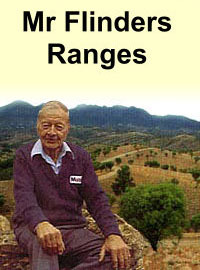 PROVIDING MORE THAN 60 YEARS OF SERVICE TO THE FLINDERS RANGES AND OUTBACK OF SOUTH AUSTRALIA. Open every day other than Christmas Day. Hawker Motors sells fuel, the grades are Unleaded 91, PULP 95, PULP98, Diesel and Autogas. We accept the following cards for payment, Visa, Mastercard, Eftpos, Diners, Amex, Motorpass (includes Puma Card), Motorcharge, Fleetcard and Mogas fuel card. Hawker Motors have an extensive range of tyres in stock, some of the brands we keep are Dunlop, Goodyear, Maxxiss, Roadstone, Kumho, Bridgestone and Terra Trac. We offer a tyre service for puncture repairs and wheel balancing. Call and see us if you need help. Also in stock we have a range of Vehicle Batteries, Parts, Accessories, Camping Equipment. Tourist Information, Souveniers, Maps and Brochures. Hawker Motors also has Groceries, Frozen Meat, Fruit and Vegetables. Our product range includes a large range of Australiana books. Tea, Coffee, Pies and Pasties, other Refreshments & Ice are available. We sell Origin Energy 45 Kg Gas cylinders and gas for refilling BBQ small cylinders. We are BOC agents for welding gas and medical gas. In our shop is Fred Teague's Museum and we have a Seismograph for measuring earthquakes. Come in and allow our friendly staff to assist you with your needs! Hawker Visitor Information Centre is part of our business and our friendly staff will do their best to answer your information request. The Visitor Centre is an agency for all National Parks Passes except the Desert Parks Pass. Hawker is located in South Australia’s Central Flinders Ranges, 110 kms North East of Port Augusta and is an ideal location for Exploring the Flinders Ranges. Hawker is accessible by sealed road from all capital cities in Australia and is approximately 5 hours drive from Adelaide, the population of Hawker is approximately 300. The life style in HAWKER is good and the water quality is excellent because Hawker now has desalinated water. The health service is excellent in Hawker as we have a very good Hospital and Medical Centre. All members of the public can visit the Hospital for emergencies as Outpatients 24/7. The education facility is also very good with Hawker having an Area School. The Heysen Trail and the Mawson Trail pass through or close to Hawker. Many walkers experience the Heysen Trail and cyclists enjoy riding the Mawson Trail. Hawker is a good base to explore the Central Flinders, an excellent location for photographers, bush walkers or people who want to self drive or take a tour. Many enjoyable day trips can be made from Hawker to Quorn and Pichi Richi Pass, Wilpena Pound, Brachina, Bunyeroo and Parachilna Gorges, Parachilna, Blinman including the Blinman Heritage Mine Tour, Leigh Creek and Aroona Dam. Around Hawker we have Jarvis hill lookout, Camel's Hump, Castle Rock, Police Hill walk and lookout. Just North of Hawker is Moralana Scenic Drive and South you can visit Cradock, the old township of Wilson, Kanyaka ruins and Death Rock waterhole. Hawker is a great place to live, work and play. It has a relaxed life-style and is a vibrant community. 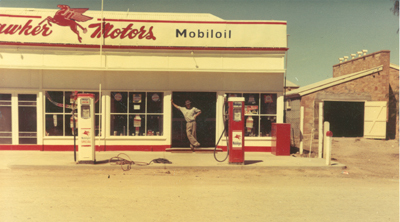 While you are in Hawker take a look at “Fred Teague’s Museum” in the Hawker Visitor Information Centre, Corner Cradock & Wilpena Road, view the Hawker SEISMOGRAPH station in Hawker Motors, visit “Wilpena Panorama” at Jeff Morgan’s Art Gallery, take a 4 wheel drive tour and scenic flight, have a coffee in one of our cafés or from our shop. Stay at the Hawker Hotel Motel, the Outback Chapmanton Motel or the Hawker Caravan Park, or in self contained accommodation (self catering accommodation) in Hawker. Other services we have in Hawker are resident Police Officer, Doctor, Hospital, Ambulance Service, Area School, CFS and SES. Hawker has three fuel outlets and motor repairs, two cafe's. Licensed Post Office, Old Ghan Restaurant, Scenic flights, Electrical and Plumbing services, Machining and Welding services and Earthmovers, Camel tours are available from near Hawker by Camel Treks australia. Hawker's desalinated water quality is as good if not better than Adelaide tap water. Sporting facilities are Bowling club, Golf club, Tennis courts, Swimming Pool and Hawker Racing Club that holds one race meeting each year. Northern roads pass through Hawker to Lyndhurst and Marree. From Lyndhurst take the Strzelecki Track to Innamincka and Southwest Queensland. From Marree travel on the Oodnadatta Track to Oodnadatta or turn off at William Creek to travel to Coober Pedy. Also from Marree travel to Birdsville along the Birdsville Track.